The Vail Golf & Nordic Clubhouse offers uniquely scenic views of the Gore Range Mountains throughout all seasons. Enjoy the serene views among the vast green on the secluded and private wedding island during the summer, or from our newly constructed Gore Range Room banquet space and patio year-round. 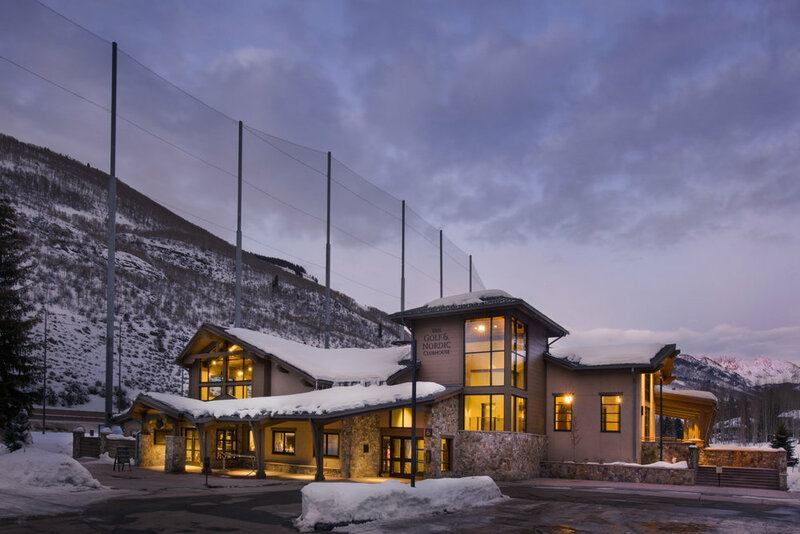 With our state-of-the-art facilities, unparalleled scenery and knowledgable staff, the Vail Golf & Nordic Clubhouse provides the perfect setting to gather your group. Perfect for groups up to 160 guests, let us share our beautiful and idyllic location for your wedding, reception, rehearsal dinner, corporate retreat, family reunion, fundraiser, conference, baby shower or special event. GORE RANGE ROOM - A stunning banquet room inside the Vail Golf & Nordic Clubhouse. Ideal space for wedding receptions, rehearsal dinners, meetings, conferences, social events and family gatherings. WEDDING ISLAND - Outdoor island area adjacent to the Vail Golf Course and near the clubhouse. Perfect for ceremonies and special events. The Vail Golf Club, Vail Nordic Center and Grill on the Gore restaurant are all closed for the offseason. The Vail Golf Club will open in the spring as conditions allow, and we look forward to seeing you this summer!